Explore the signature buildings of Turku’s modern architecture on foot and see the fascinating urban environment along the way. Architect Alvar Aalto resided in Turku between 1927 and 1933. During this time Turku played a significant role in the emergence of new architecture and furniture design. Your guide will introduce you to the exterior of three transitional works of Aalto’s functionalism: Southwestern Finland Agricultural Cooperative Building, Office Building for Turun Sanomat Newspaper as well as the Standard Apartment House. This tour focuses on the modern touch by Aalto and Bryggman in the historical city of Turku, and shows you the emergence of the new style in Aalto's career. 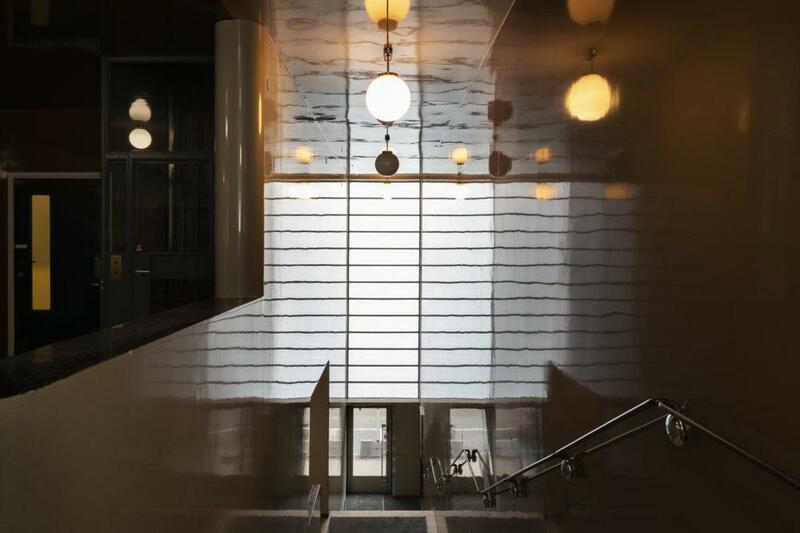 The tour takes you to the buildings of two pioneering architects, Alvar Aalto and Erik Bryggman. They mark the emerging change in Finnish urban environment. The buildings are seen from the outside. You shall see the buildings Aalto designed when he lived in Turku: Southwest Finland Agricultural Cooperative Building, Turun Sanomat Building and Standard Apartment Building. From Erik Bryggman’s career are presented e.g. Hotel Hospits, Atrium and Student Union building. The recommended group size is 15-25 persons. The tours are available all year-round. For an additional fee can the tour also be implemented as a sightseeing tour. The tour will be conducted from the group’s own coach. Bus transportation can be arranged on your behalf. Prices include 2 hours of guidance. As an extra service coffee breaks during or dining during the tour, and a visit to Turku Main Library. A visit to the Paimio Sanatorium designed by Alvar Aalto is available. The drive from Turku to Paimio takes about 30 minutes (27km) Duration in this case is 3,5-4 hours. A visit to the St Henrik´s Ecumenical Art Chapel and to the Resurrection Chapel is available. Duration in this case is 3,5-4 hours. Any entrances or transport are not included. Guidance 128 € per group on weekdays, 227 € on Sundays and public holidays, VAT included.